THE BOOKSTORES and bestseller lists have long been packed with world-weary Caucasian detectives who wrestle with mysterious homicides as well as with their own depressing family issues—flinty-eyed cops like Peter James’ Roy Grace, Henning Mankell’s Kurt Wallander and Michael Connelly’s Harry Bosch, to mention just three globally megaselling protagonists. Inspector Singh of the Singapore Police Force is an altogether more exotic loner. And yet he’s reassuringly familiar. This Sikh crime-buster is flawed, stubborn, and ultimately always nails the bad guys, though often at a price to his mixed reputation with his superiors. To use the patois of Southeast Asia: same same, but different. In any event, he’s a welcome addition to the crime-fiction genre for reasons of diversity. Like the more formulaic creations, Singh’s a sympathetic maverick. And as with many of his ilk, he has problems with self-control. But in a neat narrative twist, his wife provides an entertaining foil to the gentle turbaned giant. And so it’s hard not to warm to the scruffy, paunchy and profusely sweaty cop. Addicted to curry—especially when cooked by the headstrong Mrs Singh—he also has a fondness for beer and cigarettes that runs counter to his Sikh faith. But the inspector lives by his own rules. And is driven by a powerful thirst for justice. He’s also shrewder than his dishevelled appearance might suggest, as many of the perps in the books learn to their cost. How did this remarkably original fellow who crisscrosses Asia in pursuit of nefarious individuals originally come about? 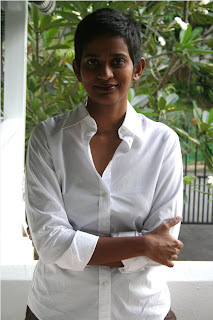 His creator, Malaysian lawyer-turned-author Shamini Flint, explains. “Inspector Singh is a composite character, as all characters are, but he does borrow strongly from family members. That old-fashioned conservatism comes from my extended family. And from my background as a lawyer he got his moral compass. I’ve known people in the legal profession hell-bent on pursing justice, and who don’t count the cost when a principle has to be upheld. They form the backbone of the inspector. And part of him is me too; recently I realised that his slightly ‘dipsy’ tone is actually me. So it gradually transpired that me and the ‘fat man’ have quite a lot in common,” the slender author says. Today residing in Singapore, with two young children and her husband, one of many English expats who works in Singapore’s financial sector, the 40-year-old Flint is well qualified to depict the diverse casts and settings she presents in the Inspector Singh series. “I am Malaysian—born in Penang, and grew up in and studied in various parts of the country. I left only when the time came for me to go to university, when I went to the UK, so I think of myself as Malaysian. As for my parentage, I’m half-Sri Lankan Tamil and half-Indian from the west coast, The God of Small Things part of the state, Kerala. Cross-cultural issues are keenly observed in the Inspector Singh books, in large part because of the author’s geographically disparate background. “It’s hard for people who are not from the subcontinent to understand, but my parents were as foreign to each other, and their families were as foreign to each other, as if one of them had gone off to marry an American or an Inuit. There’s been a lot of conflict in my cultural identity. “My mother and father’s extended families came from such different ethnic groups that they never really took to each other. And so I’ve come to be comfortable with my uncomfortable identity. Compounding this, my father was a major in the Malaysian Air Force, so there again I was in a very small minority—the offspring of an Indian serviceman. Most of my father’s peers’ children were Malay. Flint was already an acclaimed and commercially successful writer of children’s books, often based on environmental themes, before she turned her hand to crime fiction three years ago. As a writer of multiple genres, Flint is furiously disciplined, thanks, she reasons, to her previous occupation. “I don’t really think of myself as a writer, I think of myself as an ex-lawyer who happens to be writing, so what I try to bring to my writing is a professional day-to-day routine, like a lawyer or doctor, someone with a rigid full-time job. So I wake up, get the kids off to school, drag myself over to the computer with my coffee, deal with a few emails, and then I get down to it, and I don’t come back for air until a quick lunch, and then I carry on until the kids come back from school at about 2:30pm. Then I spend time with them till bedtime, and then, if I have the energy, I try and get a couple more hours done in the evening. The next minute her inner writer-for-youngsters speaks. “I have small children, and also a lot of my children’s books deal with improving matters in the world, so I wouldn’t be comfortable—I mean my girl is eight and in a few years she might be reading my adult books, so I’m kind of mindful of that. Flint’s warm and old-school storytelling has a burgeoning following. A large number of translation rights have now been sold for the Inspector Singh franchise, including, most recently, Serbian and Polish. 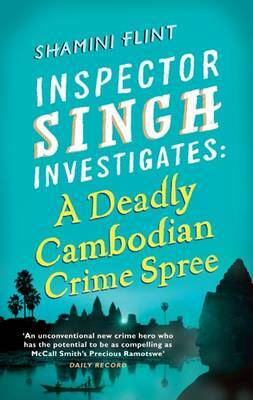 Almost three years after it was first published, the first Inspector Singh book—Inspector Singh Investigates: A Most Peculiar Malaysian Murder—has come out in the United States, and book two—Inspector Singh Investigates: A Bali Conspiracy Most Foul—is coming out there in 2011. “Getting Inspector Singh into the US this year was a big breakthrough,” Flint says, large brown eyes shining as if she can’t believe this has actually come about. The Inspector Singh story is even more remarkable than one might assume. Book Three in the series—Inspector Singh Investigates: The Singapore School of Villainy—was self-published before being picked up by British literary giant Little, Brown, who asked her, in 2007, to rework it substantially as the third book in the series and get started on the debut Inspector Singh novel. With a mischievous smile, she says: “I can’t wait till I write a crime novel that’s really rubbish and get away with it, because that means I’ve truly made it.” Words said half-in-jest by the writer who has delivered the first world-famous fictional sleuth from Southeast Asia, a man of subcontinental colour and a deceptively shambolic demeanour. NICK WALKER is the author of Living Landscapes, Vistas of the Dragon and Sand & Light: Elements of Islamic Architecture. He lives in Singapore. I've read all her novels and agree with the view that the character and story is fairly "old school". Part of the treason why I bought the book in the first place was because the writer is Malaysian and I was curious. The first book caught me and I was hooked. I love Inspector Singh - pot belly and all. He's like Lat's ubiquitous characters and yet different. He also reminds me of POirot, Miss Marple and Ramotswe.